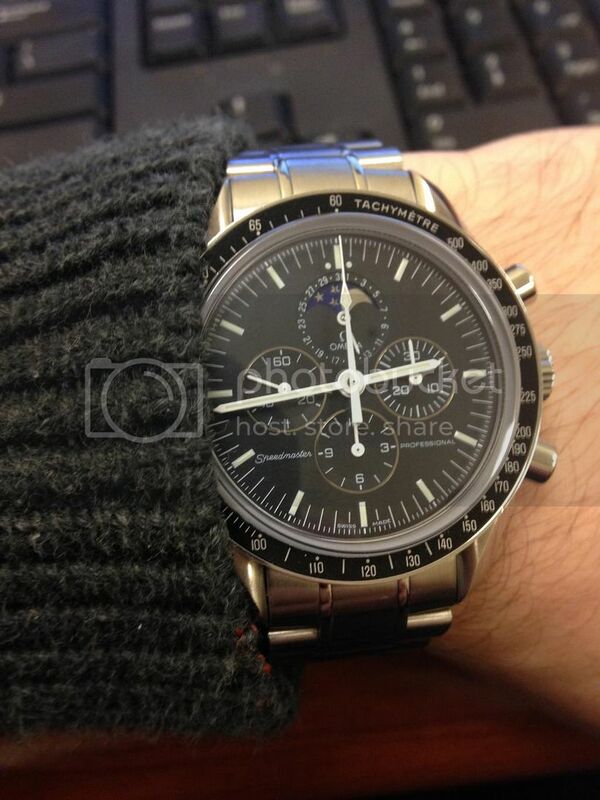 I purchased my Speedy Moonphase to commemorate the birth of my first son. He is about to turn one and I'm one year closer to giving it to him someday. I'm thinking about switching things up a bit and putting it on a strap. Ayone have a pic to share? Next Topic: Incoming X-33 Gen 1 (Many thanks David M!) and some easy questions. Any help appreciated!